Part I: Nuts and Bolts. 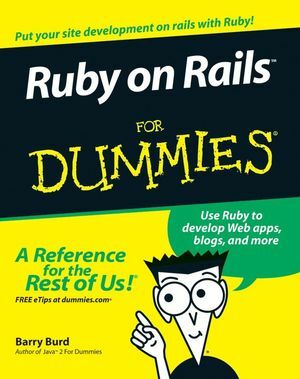 Chapter 1: Welcome to the World of Ruby on Rails. Chapter 2: Installing the Software. Chapter 3: Details on Rails. Chapter 5: Ruby One’s Day. Chapter 6: Ruby Two’s Day. Chapter 7: Weaving the Web. Chapter 9: Some Things You Can Do with Models. Chapter 10: I’ve Been Working on the Rails Code. Chapter 11: Image Is Everything. Chapter 12: More Model Magic. Chapter 13: Cool Things on Rails. Chapter 14: Ten (Times Two) Great Web Sites. Chapter 15: Ten Features That Set Ruby Apart. Chapter 16: Ten Pivotal Ruby on Rails Concepts. Chapter 17: Ten Ways to Override Rails Defaults. http://www.burdbrain.com/RubyOnRails The Bonus Content for this book is currently available at this url.